Bobcat Service is a collection of manuals for all Bobcat vehicles produced before 2015. Bobcat Service is a collection that includes complete documentation on repairing Bobcat equipment including wiring diagrams, as well as hydraulic diagrams, user manuals and service manuals, and attachment equipment documentation. Bobcat Service - all information is presented in PDF manuals. The Bobcat Service catalog has illustrations of complex technical repair procedures or procedures that cannot be demonstrated in the usual way. Bobcat Service - provides a reduction in repair time and diagnostics of Bobcat equipment and are a valuable way to gain new knowledge and skills for specialists in various areas of technical maintenance of Bobcat special equipment. The company Bobcat begins its history in the USA in the state of North Dakota in 1958. Then the company bought out the rights to a compact 3-wheel loader Keller from the Keller brothers, who subsequently successfully cooperated with Bobcat. In the same year, the first model of self-propelled loader M-60 is produced. In 1959, Bobcat produces an improved model of the M-200 loader, which differed from its predecessor with a powerful gasoline engine of 12.9 hp. In 1960, the company produced the world's first compact loader with a side-turn and four-wheel drive M-400. Initially, Bobcat was called Melroe. Its catchy name, it acquired later in honor of the truck called the M-440 (improved version of the M-400), which was successfully launched. 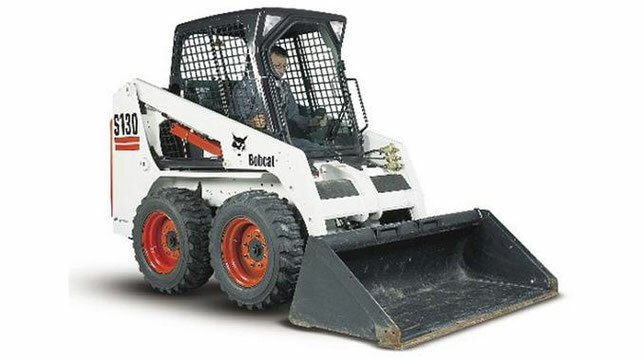 The decision to call the maneuver loader a bright and catchy name led to the birth of the name "Bobcat" - "trot". In the same year, a logo was developed - a lynx inside a double oval, and the slogan "dexterous, fast, hardy" (like the trot itself) was used to advertise forklifts. The logo for the first time decorated the loader M-440, and then all the models of Bobcat loaders.